Portrait photography has the potential to intervene in how we look at others. It cannot be looked at as truth or as documentation, but can only ever represent an isolated and suspended moment in the life of the person pictured. When portrait photography attempts to offer insight into an individual subject, it betrays the promise of its own ontology. Portrait photography has the potential to question the naturalized ideologies inherent in looking. 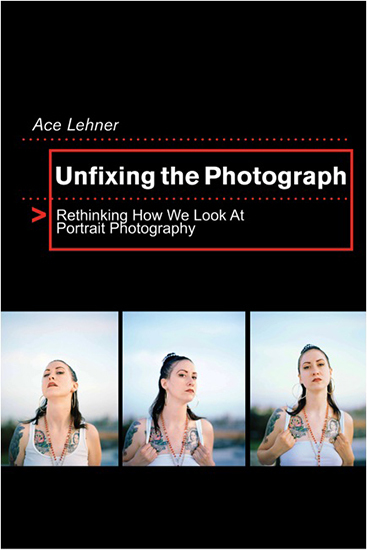 In Unfixing the Photograph I examine how particular portraits by Catherine Opie and Nikki S. Lee, as well as some of my own works intervene in the way we look at and visually read people. This project considers how these works resist the reinscription of identities into hegemonic representations of race, class, gender, and other oppressive systems. It also discusses strategies for making images that actively resist dominant paradigms of looking by engaging techniques of coding, cropping, complicating, and withholding visual information. In order to look critically at portrait photography in this way, I have developed and will discuss three interchangeable and mutually informing lenses: picturing without showing (strategies of visibility and resistance); the distance of proximity (between the photographer and the subject); and hybrid-autoethnography (self-presentation and performing for the lens).